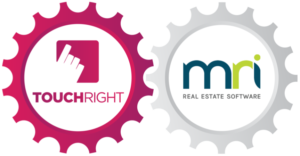 TouchRight integrates with MRI Software, one of the leading software back office systems, designed to be suitable for both single regional offices or a national network of letting agents. MRI Software aims to deliver internal efficiencies to help avoid duplication, and the TouchRight integration is key to help avoid data repetition. Instead of a ‘mass’ import of data from MRI Software into TouchRight, the integration works to only pull through the property data you need, once you have an appointment set against that property in MRI Software. All appointments synced to TouchRight are shown as ‘provisional’ appointments, ready for the user to select a report template and report name. Finally, when a report has been completed and marked as ‘final’ in TouchRight, it automatically sends a URL link back to a location in your MRI Software portal for easy access.